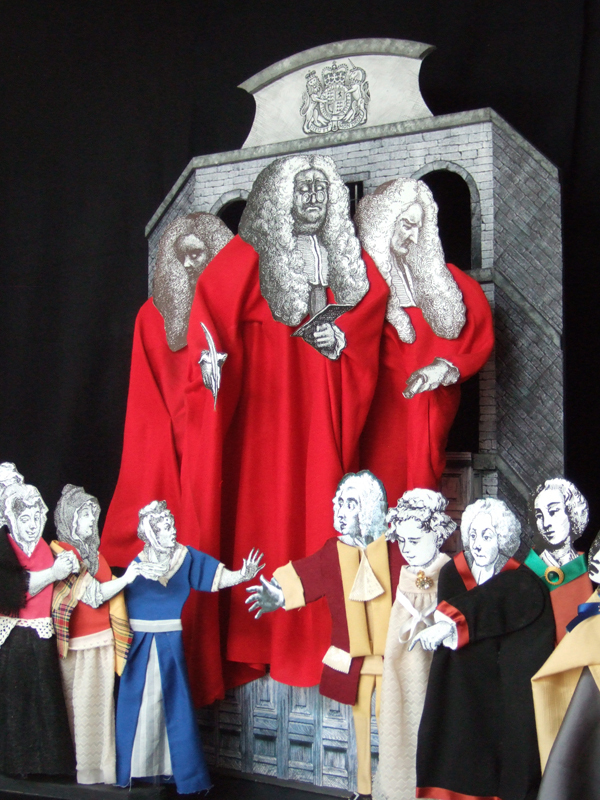 18th Century London, its raucous mobs, rapacious merchants and well-fed judges, are brought to vivid life on a table. 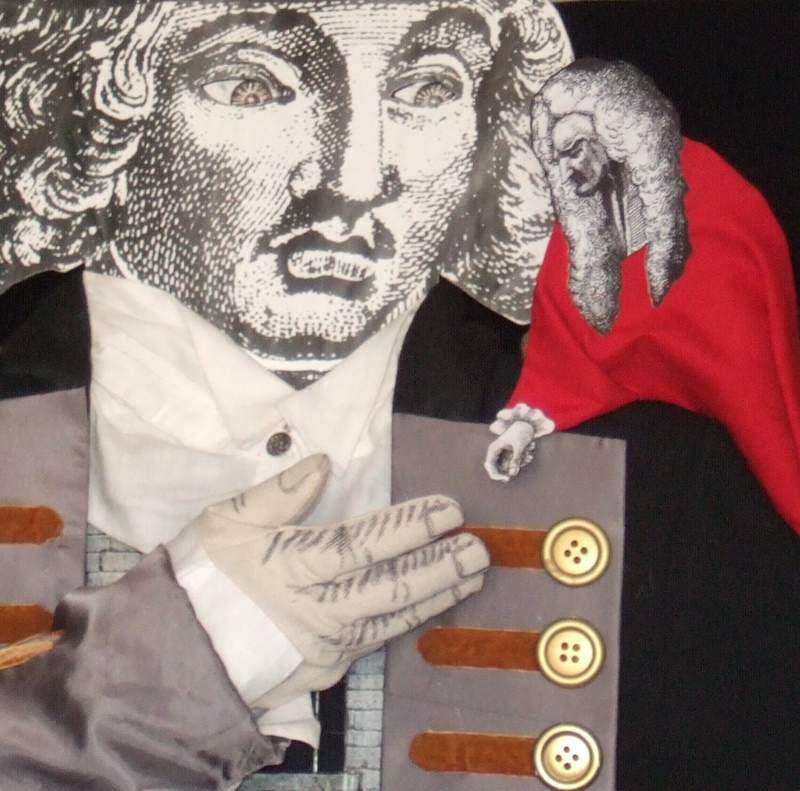 The use of simple cut-out puppets and zigzagging set lead the audience through unexpected turns among the characters, institutions, and dodgy deals of a time of upheaval. Jumps in scale, audience participation and the textured use of sound and song add drama and depth to the story. A playful, political, visually stunning tale of daring and resistance. “Wonderful paper theatre show… featuring endless inventive and quirky paper animation techniques”. delightful music – just bloody great”! The show lasts seventy minutes and is suitable for adults and older children. It was originally inspired by conversations with Bristol Radical History Group, who supported its development.